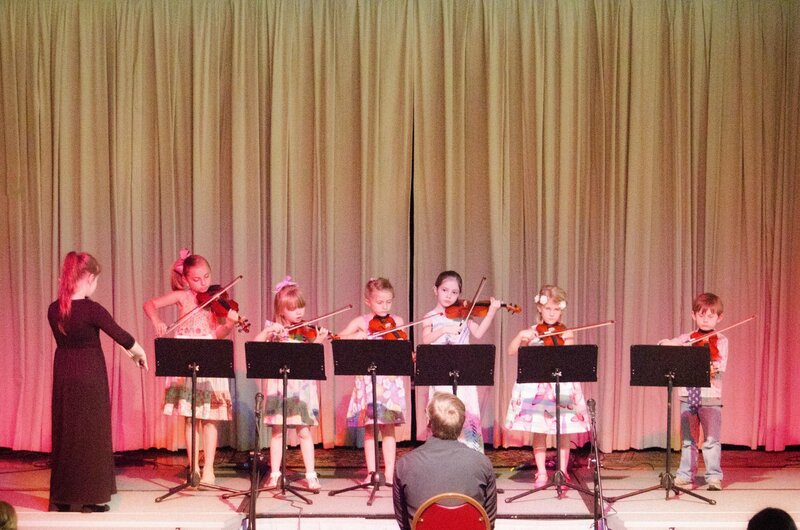 If your child is a musical novice or is under the age of 9 years old, classes are an excellent way to get them started in general music or on an instrument! Children can truly benefit from the social aspect of classes, learn how to work as a team, and improve their micro-motor and macro-motor skills, all while learning general music concepts such as vocal, rhythmic, and ear training! 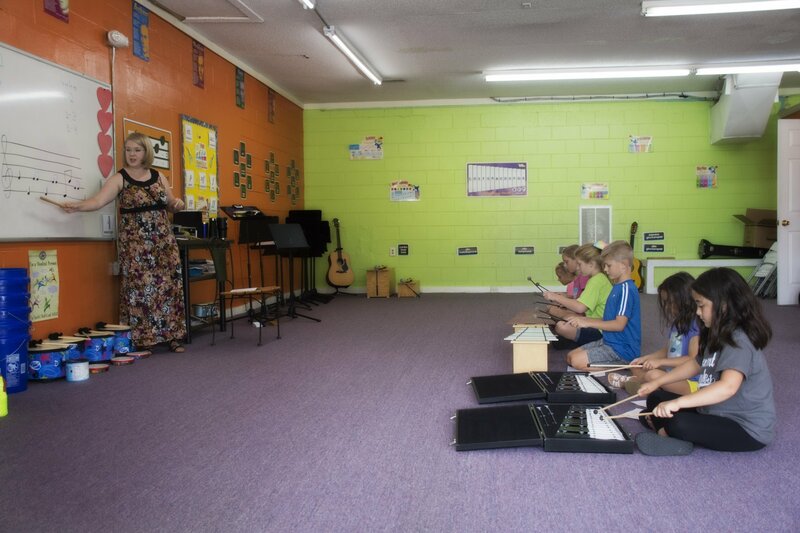 Classes are also great for students who already take privately but want to make music with others while reinforcing the principles learned in private lessons! Our Sprouts 1 class is a fun, fast-paced, general music class for 3-5 year old students! They sing, move, and play games to learn about primary music principles, like finding and keeping a beat, using their voices, matching pitch, and other basic concepts. Also, if you come a little early for class, we offer Sound Exploration time on all our pitched and unpitched percussion instruments for the students to freely move and play whatever they want! Sprouts students have fun and gain the tools they need to further their musical journeys as they grow! 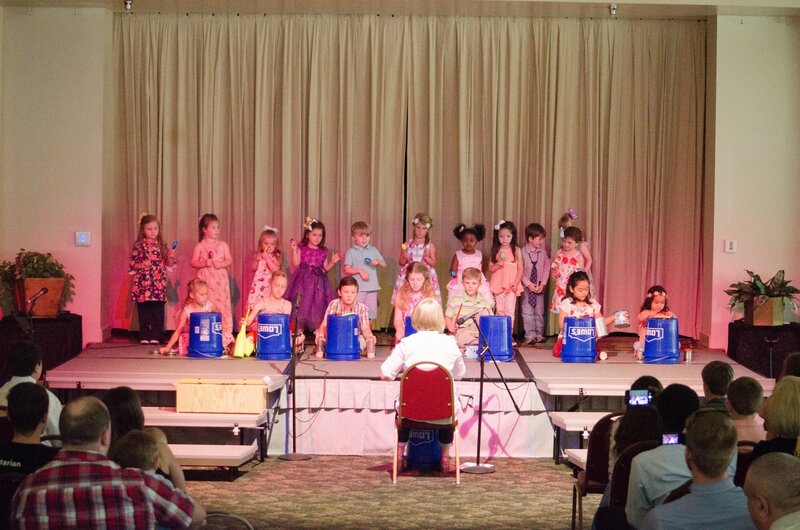 Our Sprouts 2 – Level 1 class, lovingly called our “Junkyard Juniors,” is a beginner level drum class for ages 6-9 years old. These students use every-day items, sometimes viewed as “junk,” and turn them into instruments! For example, we use glass bottles, corrugated pipes, plastic bottle shakers, and even engine pulleys! In fact, our main class instrument is a bucket drum! Utilizing these fun and quirky instruments, students learn how to find and keep a beat, play and read various rhythms, and compose some of their own music! This class is a fun introduction to instrumental music and is perfect for students with little to no previous musical experience (although musical experience is always welcome)! Our Sprouts 2 – Level 2 class is for students 6-9 years old and is by interview only. 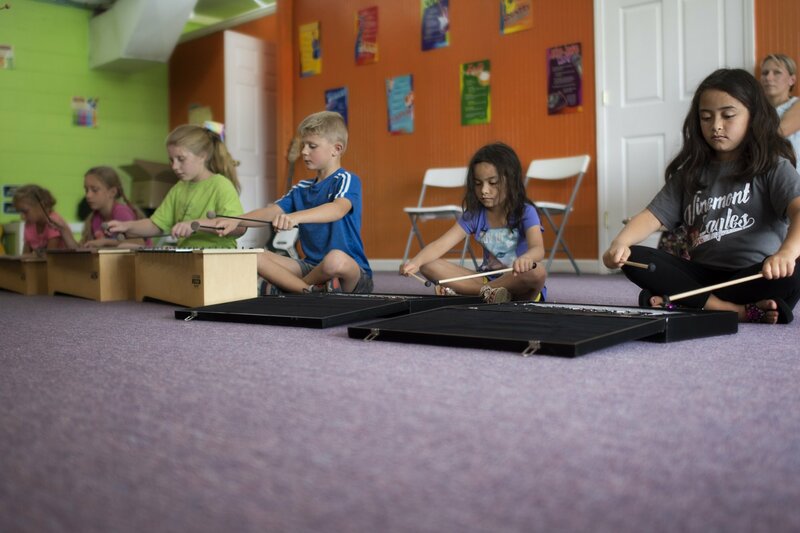 In this class, the students have graduated from the “Junkyard Juniors” group and are playing pitched percussion instruments such as xylophones, metallophones, glockenspiels, and orchestral bells! Sprouts 2 students further their rhythmic capabilities and even learn how to read music on the staff! They are also achieving basic music theory knowledge on scales, chords, and rhythms. With the knowledge gained from this class, students will be able to graduate into other musical ensembles with ease! Our keyboard classes are divided into two separate classes, the Preschool Keyboard Class for ages 2-4 years old and the Elementary Keyboard Class for ages 5-8 years old. These classes are geared toward introducing children to the piano in a fun, low-pressure, age-appropriate environment! Private lessons can be too intense for very young students, so these classes ease your child into musicianship without the stress on them (or you!) and have the added benefit of preparing your child for more serious study in the future! String Beans is a violin class for ages 4-8 years old and is divided into two groups of beginner and experienced players. In this class, beginners are introduced to violin in a low-pressure, age-appropriate environment, and those who are more advanced are challenged according to their ability levels! No experience is necessary to join, and it is a great way to get an instrument in young students’ hands! 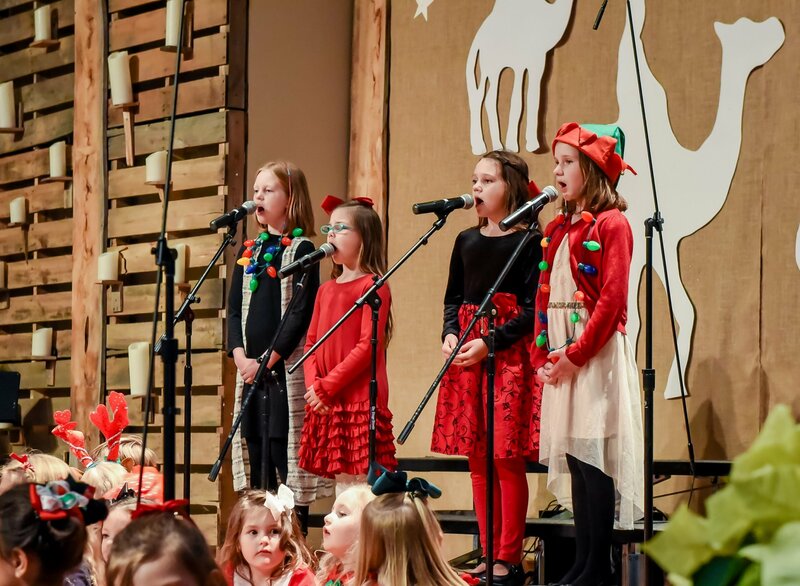 Christmas Singers is a 7-week class for students ages 6-12 years old who would like to spread Christmas spirit, all while working on their singing technique! 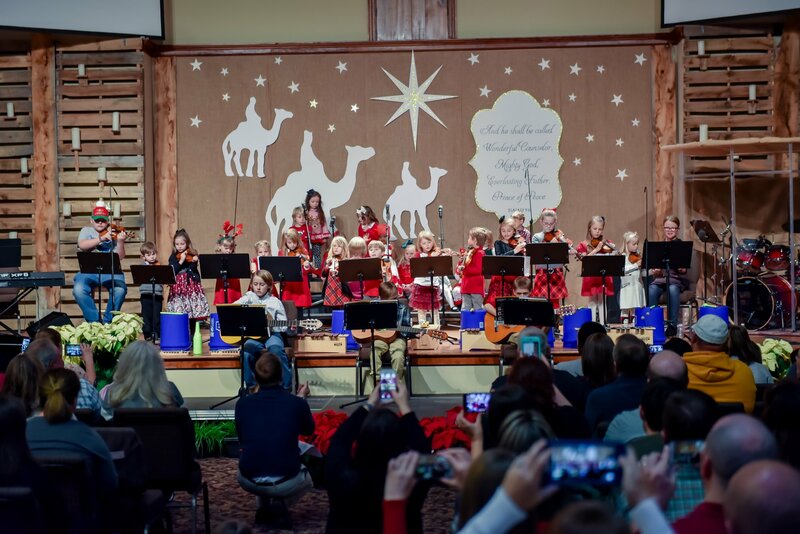 This class meets weekly, starting in November, and students will perform holiday classics at our annual Christmas Sing-along with our Sprouts classes. It is great fun without a lot of commitment and provides the students an opportunity to perform! Enrollment is in October and can be completed by contacting us through phone, email, or our Facebook page! Did one of our classes sound like the right fit? Contact us to set up an appointment to get you started! *These classes have open enrollment during the summer for the following school year. Enrollment closes on September 1st. Sprouts 1 has open enrollment year-round.